This page contains answers to the following questions. If you cannot find the answer you're looking for, please post your question in the support forum. How can I bind 232key to a certain COM port? What does "advanced support for A&D scales and balances" mean? Does 232key support serial barcode readers? How can I add a new device profile? 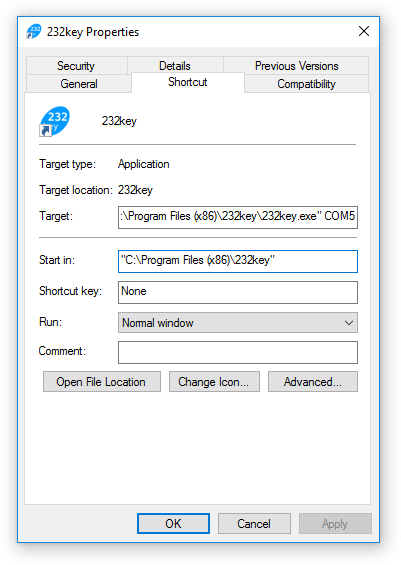 Can 232key be used as a replacement for Windows SerialKeys, AAC Keys or other GIDEI software? Does 232key work with terminal servers, RDP, Citrix, desktop virtualization, etc.? 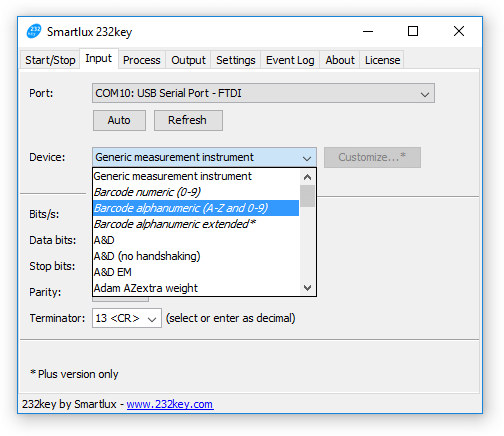 Does 232key work with Moxa NPort serial devices servers? Where can I find the 64 bit version of 232key? Can I run multiple instances of 232key at the same time? Can 232key run as a service? Am I allowed to distribute 232key? Please make sure that this port exists before you try to use it (otherwise, 232key will show an error message when you press the Start button). What does "advanced support for scales and balances from A&D" mean? Scale is either not connected to the selected port or cable has been disconnected. Scale is powered off or wrong type of cable is being used (null modem instead of straight cable). These advanced error detection functions are only available when 232key is used with a scale or balance from A&D. There are currently three barcode profiles, "Barcode numeric" (0-9) and "Barcode alphanumeric" (characters A-Z and digits 0-9) and "Barcode alphanumeric extended" (all printable ASCII characters). If your barcodes include no characters outside this range, you should be able to use 232key as a virtual keyboard wedge. 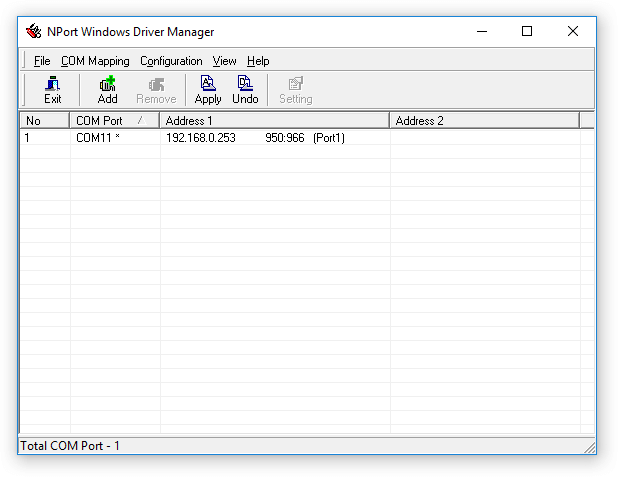 Default connection parameters: bit/s, data bits, stop bits, parity. Terminator (last character in each line of data). An example of the data transmitted (in ASCII and hexadecimal or decimal form). Optional (if the device accepts commands): the command used to trigger the device to send data (this is currently not supported by 232key). If known: Do other devices by the same manufacturer use the same default connection parameters and data format? 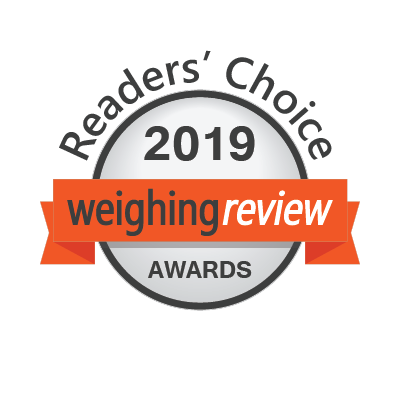 Note: We'll try our best, but we cannot guarantee that submissions will be included. If your device only sends numbers (positive or negative, using a dot or comma as decimal separator) and the letters A-Z, there's a chance it can be used with 232key. These characters are the same in ASCII (used by 232key) and GIDEI. If your device also tries to press keys outside this range (e.g. the enter key by sending "<27>ENTER.") or wants to emulate mouse movements, it cannot be used with 232key. Some measuring devices and barcode readers have a special mode intended to be used with the SerialKeys option in Windows XP (sometimes called "WindowsDirect" or "Data Transfer" mode): If you disable this mode and then specify the correct interface parameters and terminator used by the standard communication mode of your device, you'll probably be able to use it with 232key. SerialKeys was originally designed for people who have difficulty using the computer's standard keyboard or mouse. It was included from Windows 95 until Vista. AAC Keys was an alternative to SerialKeys. Some measuring device manufacturers used SerialKeys to send measurement results directly to a PC application (no additional keyboard wedge software was required). The server (host) meets the system requirements. 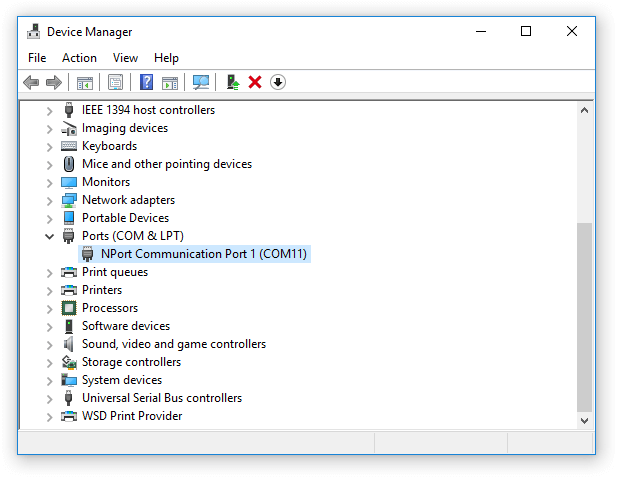 The client's COM port (i.e., the port the serial device is connected to) is forwarded to the server and accessible as a virtual COM port. If 232key can only connect to the COM ports on the host, but the serial device is connected to the client, it obviously won't work. Due to the number of different architectures and potential pitfalls, please understand that we cannot guarantee that 232key will work on your particular system. Please try 23key out for yourself and consider leaving feedback in our support forum for the benefit of other users. Yes. By default, your Moxa NPort should already be set to "Real COM" mode. 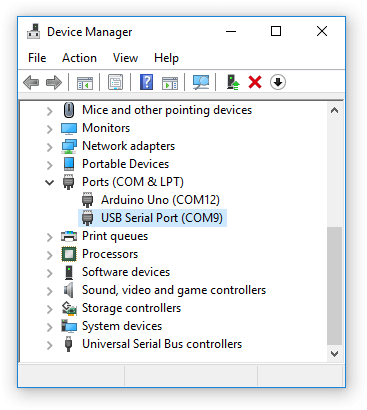 This mode allows Windows PCs to treat NPort serial ports as local COM ports. There is none. The 32 bit version works on 32 bit and 64 bit operating systems. While you could run several instances at the same time, this is not recommended as they all use the same location to store their settings (the instance you close last will overwrite the settings saved by previously closed instances). 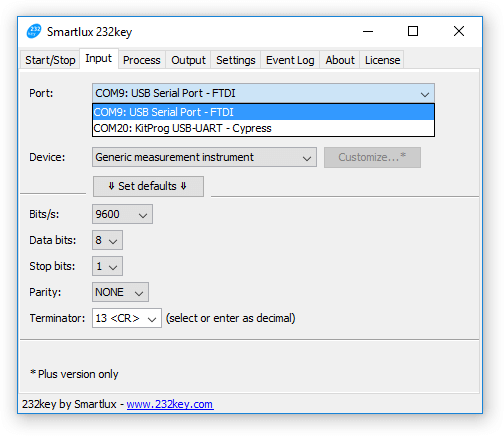 You can, however install 232key MU in addition to the free/Plus edition of 232key to connect to two serial devices at the same time. No, because a true Windows service cannot not have a user interface. However, with a Plus license, you can use the auto-start function and minimize 232key to the notification area to run it as a background process. If you want to run 232key as a service because you want to hide it from your end users, please also see the following question and make sure that your intended use of 232key complies with our EULA. You are not allowed to redistribute the binary files. Due to the licensing conditions of a third-party library and the programming tools used to make 232key, there's nothing we can do about this. 232key is meant to be downloaded and installed by end users on general purpose desktop computers. Please see our EULA for details. You may, however, resell license keys and send your customers to the download link to our software. Please consult our reseller page for further information. Nowhere, 232key is not open source software. The free version is free as in beer, not as in speech.